At White Bay assisting Azamara Quest to depart. Clyde and Paul, starboard balcony is a great one time location. Thank you for your comments. 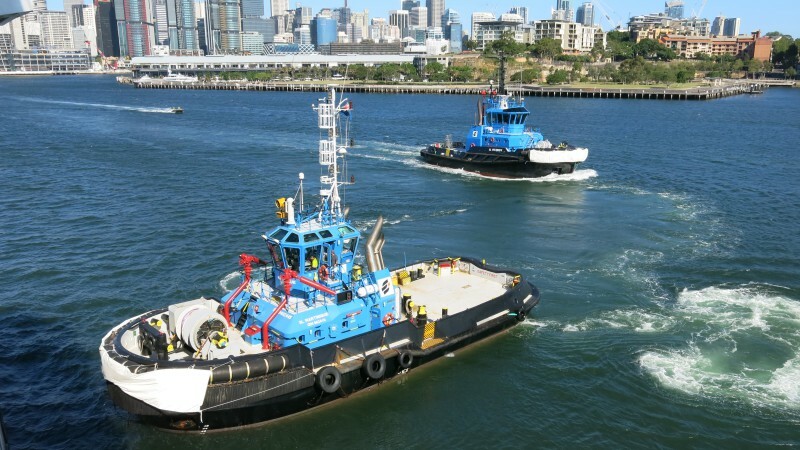 Excellent composition tugs catch Tony! I like the white protective "blankets" on the bows.